Happy Thursday friends! 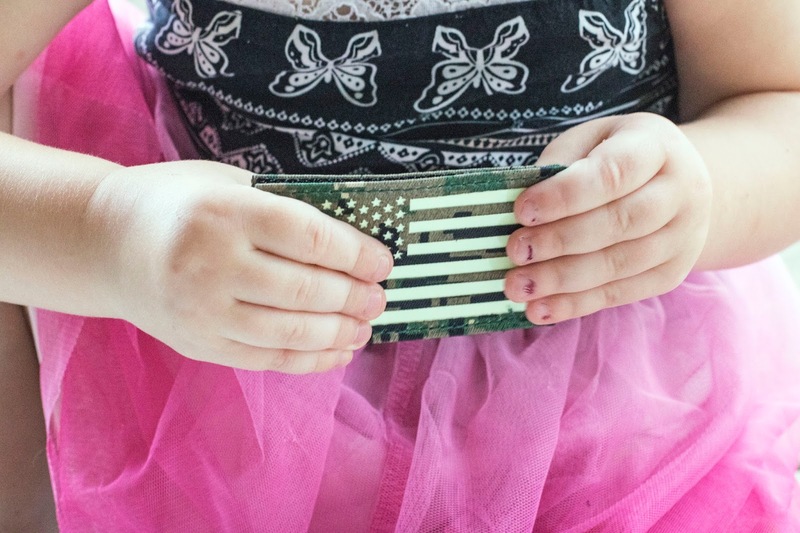 Today's post is a special one and I know you'll enjoy it if you have someone in your family or even a friend that's in the military or if you just like patches in general! 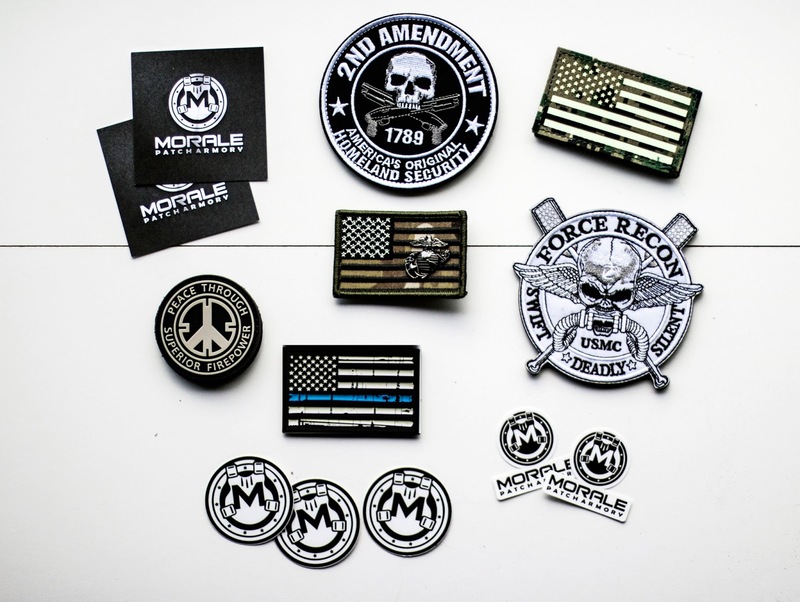 Morale Patch Armory was so incredibly kind to send over some patches to us & I thought I'd share with you guys for a future gift or little happy for someone you think might would love these too! I love (and I know Chase does too) the interchangeability that patches have so if you get tired of one, or want to switch it to something else, they're not like stickers that are pretty much a one and done. I also really like that these are really amazing quality. I know with some other patches Chase has, they are flimsy and thinner or don't have really good velcro on the back & they don't stick too well. These are thick and don't go anywhere! So good job MPA! One that is sure to be a favorite is the glow in the dark ones! The kids and myself agreed the glow in the dark American flag was our favorite! (Don't you just love those chippy nails?) AH! 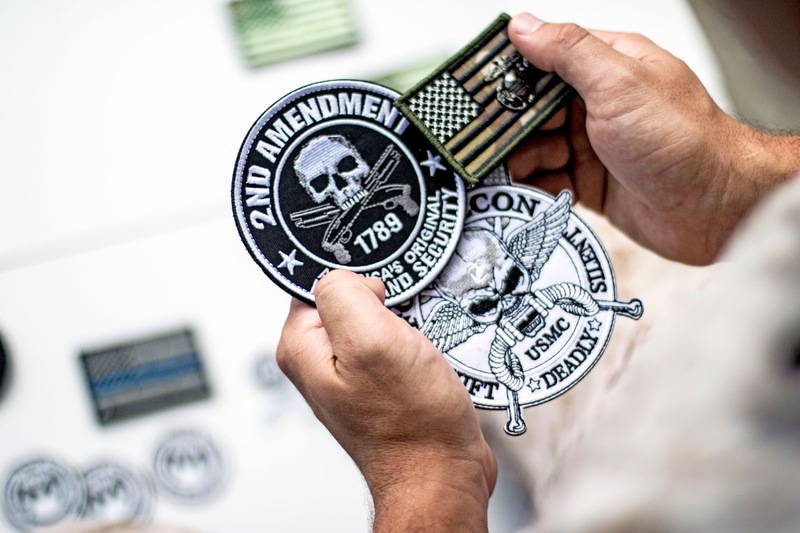 Girls could totally rock these patches too. I can so picture one or two on a more worn jean jacket or green bomber jacket! So fun and trendy especially with fall around the corner! And I mean come on, nothing is cuter than a father son duo rocking the same brand! 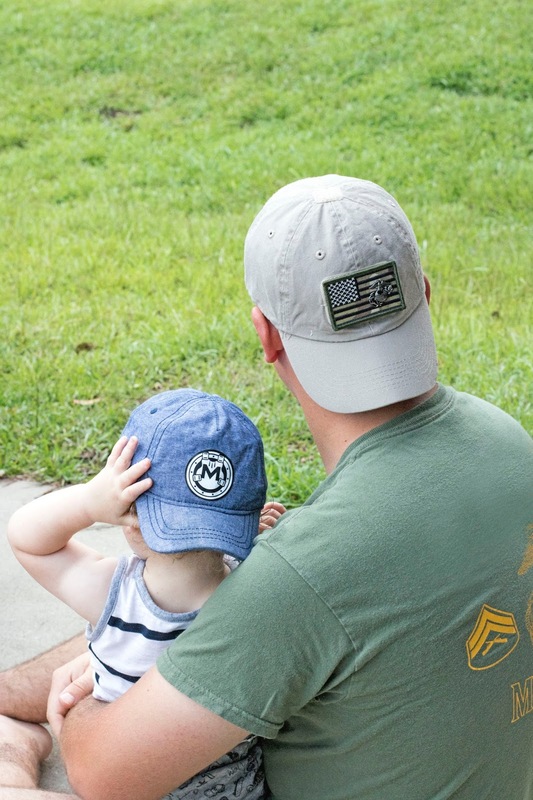 The kids also enjoyed all of the stickers to match daddy's patches so we stuck one on Finn's hat too. There are so many possibilities with patches, they really are fun to have! 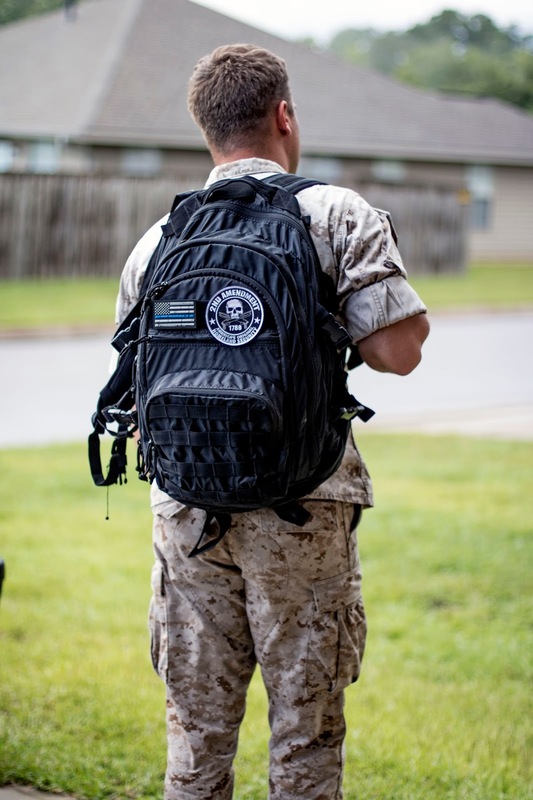 If someone in your family or even some of your friends are in the military, make sure they check out Morale Patch Armory! They will get a kick out of all they have to offer! 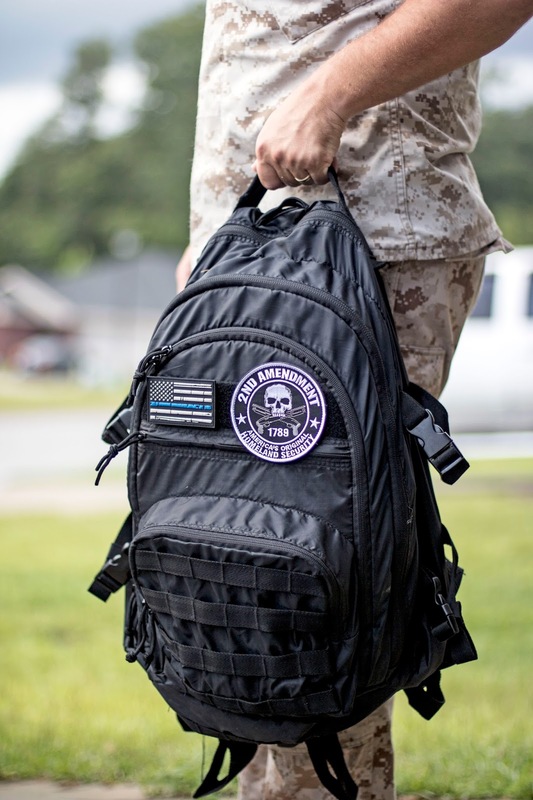 And certainly last but not least, thank you to all of you who serve our country and for Julio over at Morale Patch Armory for being so generous! If you see something you like, tell him I sent you!